There are more than 2 million children in Michigan, nearly 22 percent of the population – and they rely on the rest of us to make policy decisions that impact their futures. But that doesn’t mean they don’t deserve a voice at the table. Major changes have taken place in Congress, the Governor’s Office and the state House and Senate. We have to keep working to ensure our elected officials continue to work on the issues that matter most to Michigan’s children, youth and families. We are pledging to make it as easy as possible for people like you – parents, family members, neighbors, teachers, health care and other service providers, business and faith leaders – to raise their voices with with elected officials now and continuing until the end of this legislative session. Whether you have 5 minutes, 30 minutes, or more time during the week, you already have what it takes to make your voice heard and call for real change for children, youth, and families. Join us and take the pledge to make children and family issues a priority for state and federal leaders! Starting right after the election, we’ll be sharing regular information, training and advice, and real-time opportunities to make your voice heard with Michigan’s leaders. 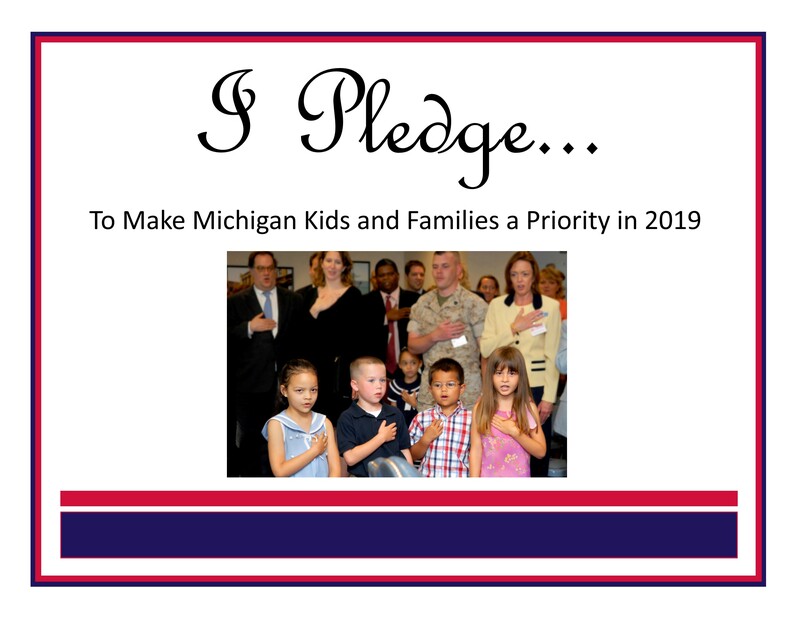 Thank you for taking the Michigan's Children 2019 pledge to advocate for kids and families! We will only use your address information to match with your federal and state legislative districts when important opportunities involving your legislator arise, and we will not share any of your personal information.